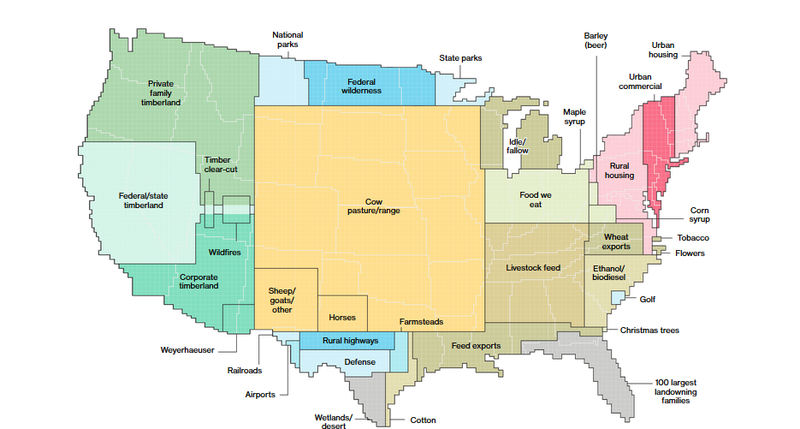 41% of US land is used for livestock production according to a report by Bloomberg. There are two things that bother me the most about this report. Using the largest portion of US land for livestock production is not only a waste of resources, it is wreaking havoc on the ecosystem. 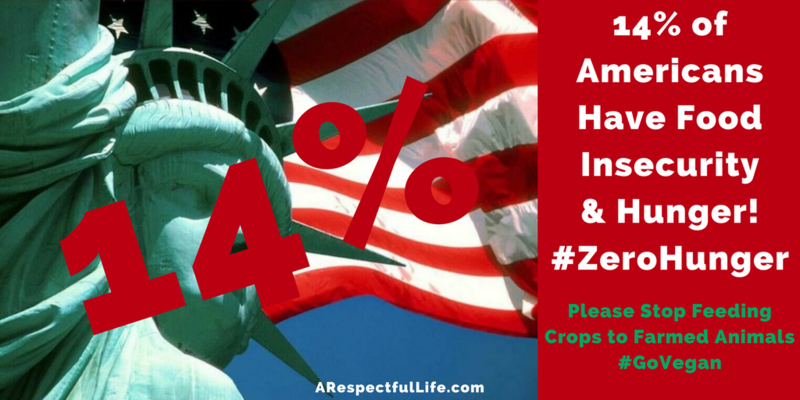 On top of that, we feed a higher proportion of our crops to human bred livestock (12.75% more) and export more crops to other countries – WHILE 13-14% OF THE US POPULATION HAS FOOD INSECURITY!!! The Economic Research Service at the United States Department of Agriculture (USDA) released its most recent report on food insecurity in September 2017, indicating that 41 million people in the United States are living in food insecure households, 13 million of whom are children. Did you hear me? THIRTEEN MILLION CHILDREN IN THIS WEALTHY COUNTRY GO HUNGRY while we export crops and feed a large portion to human bred livestock!!! I am only going to touch on this briefly because I don’t want to take away from the most concerning portion of this blog post which is citizens of the United States going hungry because of corporate greed. There is NO REASON for this and it makes me very angry. If you are unaware of the environmental destruction that raising livestock for consumption is causing on the environment, WAKE UP and do some research. Livestock production is the number one (#1) contributor to greenhouse gas emissions. Higher than the ENTIRE transportation sector! Not only are emissions out of control from livestock production, cattle and other livestock waste is destroying our water resources. The amount of manure produced by livestock is astronomical. This manure is being applied to fields for ‘fertilizer’, but much of it ends up as run-off into our waterways. The following image is from the New York Times and shows the massive algae bloom in lake Erie just last year (October 2017). 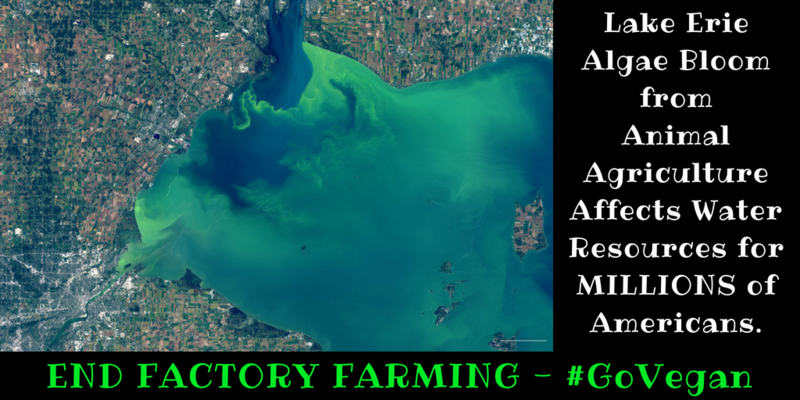 Lake Erie is the MAIN water resource for over 4 million Americans! #1 – GO VEGAN and vote with your purchasing power. #2 – Take Action – Get involved – Visit FeedingAmerica.org to see how you can help. #3 – Help protect our water resources, support your State chapter of the Sierra Club. #6 – Share this article, spread the word! 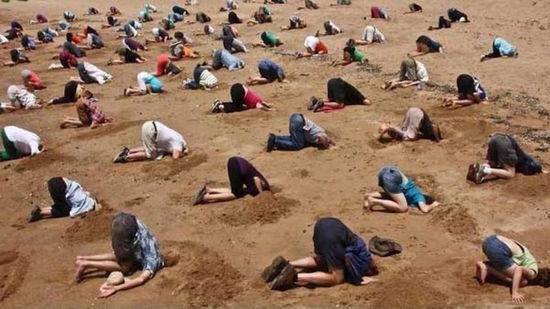 PLEASE DO NOT BURY YOUR HEAD IN THE SAND. If you need resources on going vegan, please visit the resources on this blog! As always, you can reach out to me directly via email ctiexec @ gmail.